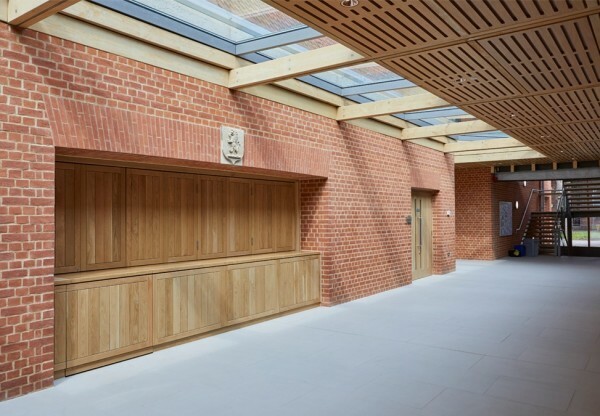 Founded in 1829, King’s College School Wimbledon is one of the leading academic schools in the UK. In 2013 we were asked to design a state of the art Music School as part of an ongoing development masterplan to improve facilities at the School. Emphasizing the position music occupies in the life of the School, the new Music School consolidates music teaching, practice and performance spaces at the entrance to the School campus. An L-shaped foyer enables access to all parts of the building by linking three distinct elements. 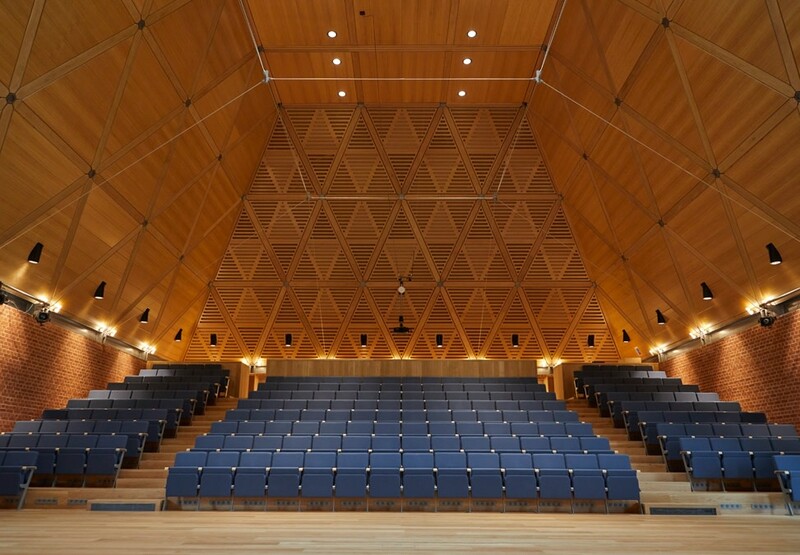 A triple-height auditorium seating up to 200 people and a stage for a 70 piece orchestra is located closest to the centre of the School campus. 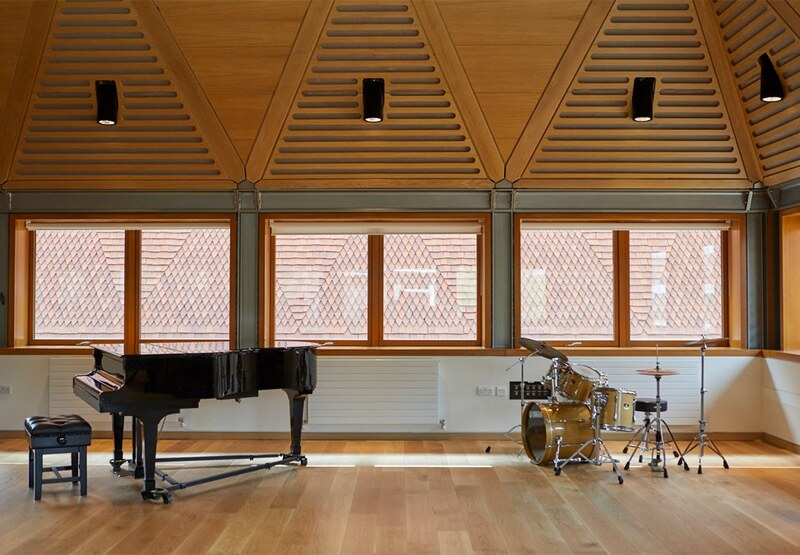 Music teaching classrooms, practice rooms and a larger rehearsal room wrap around two sides of the auditorium in two individual, lower buildings with a basement. 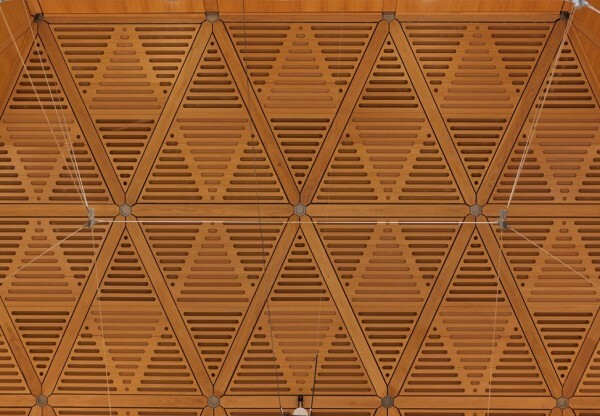 Designed to create the desired acoustic, both the Concert Hall and Rehearsal Room have specially designed American white oak lined ceilings which express the exposed triangulated timber structure, with full height or clerestory glazing to admit daylight into and permit views from what are often black box spaces. 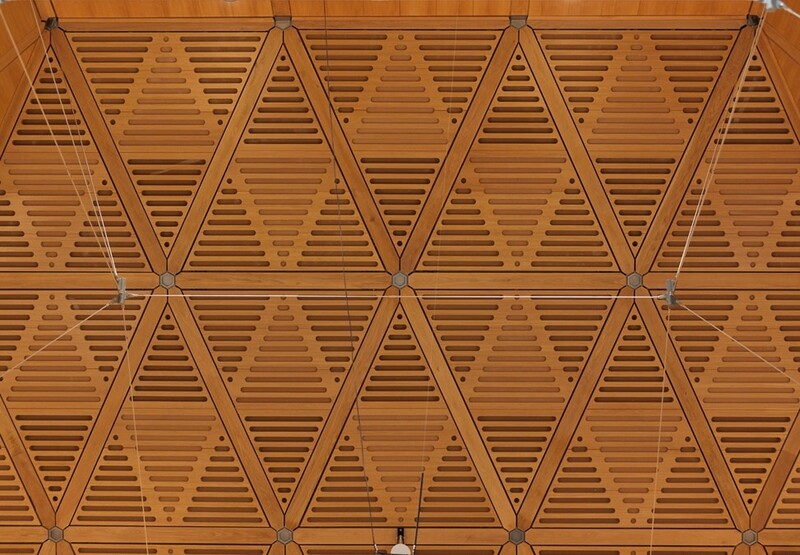 Picking up on the School context and in particular the Great Hall, external walls are constructed from handmade brick and the roofs from handmade clay roof tiles set in a pattern which again expresses the triangulated structure of the Concert Hall and Rehearsal Room. Working as a group of three linked but individual buildings, they are arranged to be viewed amongst a group of existing trees, breaking down the bulk of the development and embedding it neatly within the School environment. 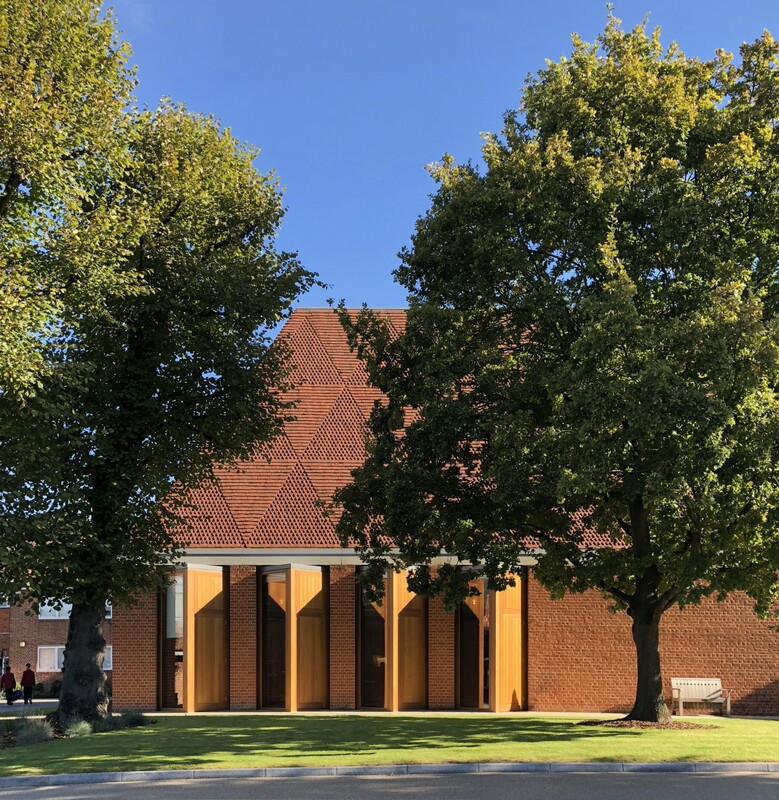 The building is to be rated as BREEAM Very Good, with excellent environmental and acoustic conditions throughout, including appropriate levels of natural daylight and ventilation.